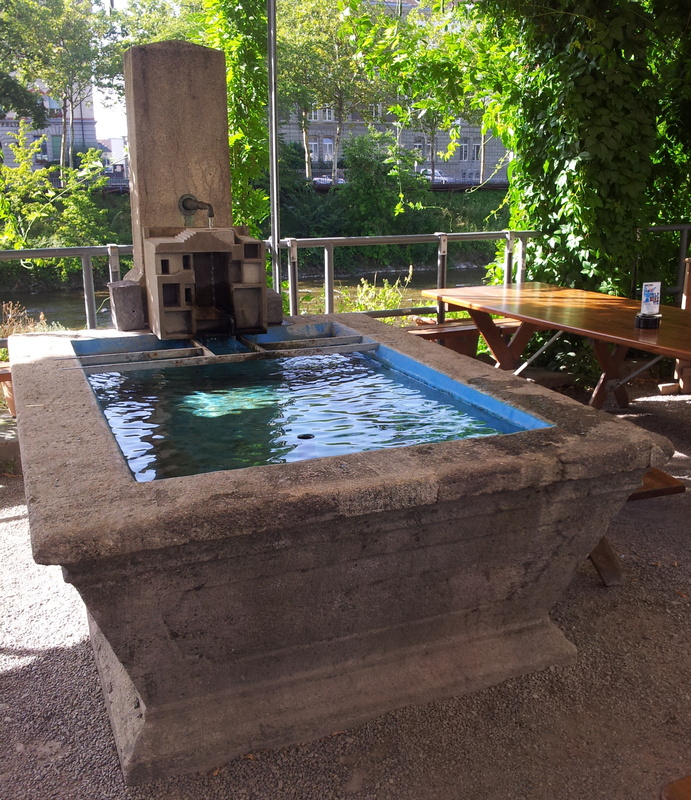 The one in Gessner Allee, right in outside area of the El Lokal, the world’s last Island in the river Sihl. Actually, one of coolest places to hang around in Zurich. It is famously for its concerts, for the public football viewing and for all the crazy objects all over the place. And, of course the bathroom decorations… It was there T., S., and I met J., Oh, so many happy hours! In fact, so merry I missed this fountain for almost 3 years…. But, that was long before I got interested on Zurich fountains.